who has struggled with math finally gets it! Ms. Harris has more than a decade of experience in education with a proven track record of student academic success demonstrated by commended student performance on standardized assessments and student enrollment and success in higher levels of math. Currently, Harris is a Dean of Instruction for a Chicago school and Curriculum Specialist. She first began her teaching career as a long-term substitute for several months. During that time she learned of alarming rates of low student performance in math – students not possessing basic math skills necessary for success in Pre-Algebra and beyond, as well as missing necessary skills for critical thinking. 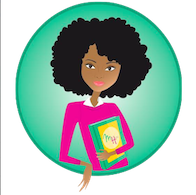 To meet this need, Ms. Harris founded Stir Up The Gifts Tutorial, a program designed to strengthen math skills and confidence targeting families with limited resources to seek other tutoring programs. While running the program, she continued her career in urban and suburban areas working with and teaching diverse populations as a middle school and high school math teacher teaching courses from Pre-Algebra to Pre-Calculus; an Algebra 1 team leader; and a mathematics department chair. On July 31, 2015, Ms. Harris released her first math book Ms. Harris’ Math Class: Quick Lessons for Algebra Readiness. In 2010, Ms. Harris was recognized by her administration and colleagues and was named Austin High School’s Teacher of the Year. 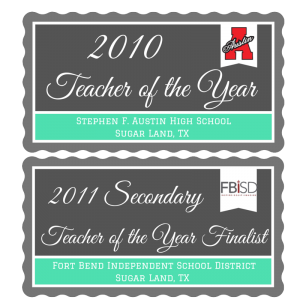 Additionally, she was named by the Fort Bend Independent School District as one of three Secondary Teacher of the Year Finalists.